First Aid Kits are a cornerstone of preparedness. Keeping you and yours healthy and intact is a great start to responding to any situation when SHTF. 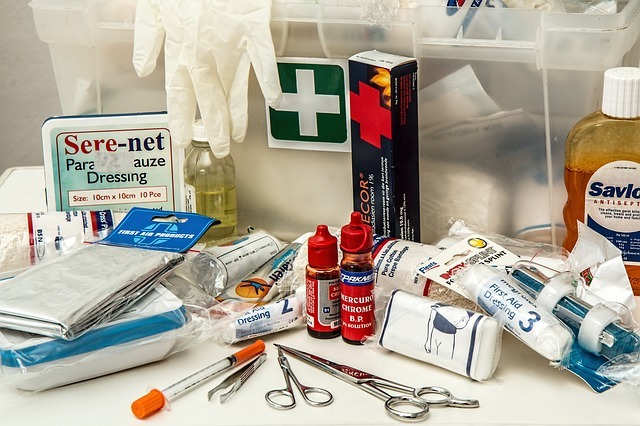 First aid kits can be the basic store-bought variety or a comprehensive kit that you are fully trained how to use. While training and practice is key to all the kits, it is especially important with this kit because some of the more involved tools can be dangerous when used improperly. An untrained prepper with an involved first aid kit is just an illusion of safety and security. Our basic first aid checklist meant for home use. A smaller kit would be better when included in bug out bags, car kits, or get home bags. Start with the foundation level if you are starting from scratch, and add modules based on your local threats.